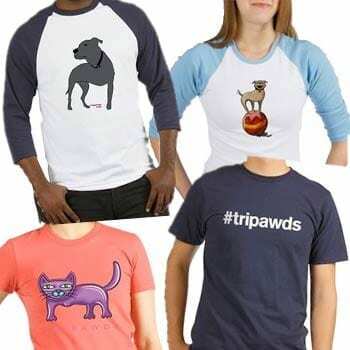 Browse all t-shirt designs and visit the Shop Page or search the Tripawds Gifts Blog for more fun three legged dog and cat apparel, jewelry, gifts, cards, mugs, stickers, or inspirational three legged dog books and much more. 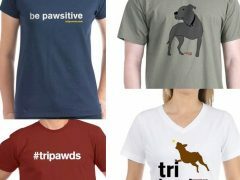 Visit Tripawds Cafe Press Store for fun three legged dog and cat t-shirts, hoodies, and more! 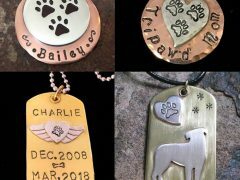 Get one of a kind personalized pendants, pet tags, urn charms and more handcrafted by Tripawds. 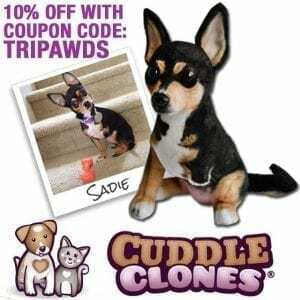 Get 10% OFF any custom plush recreation of your pet with “TRIPAWDS” Coupon Code! 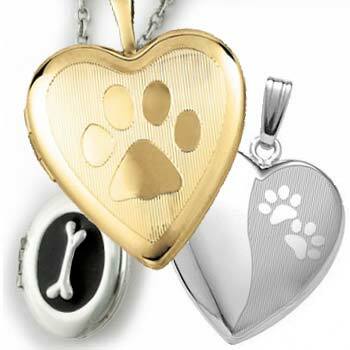 Keep three legged heroes and angels close to your heart with a locket or memorial pendant. 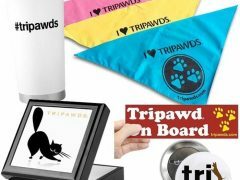 Name your price for a Tripawds pet bandanna! 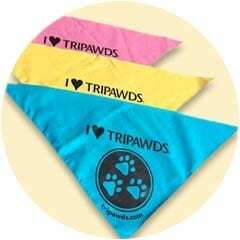 Donate any amount and receive an I ❤️ Tripawds pet bandana to support this community show your three-legged pride! 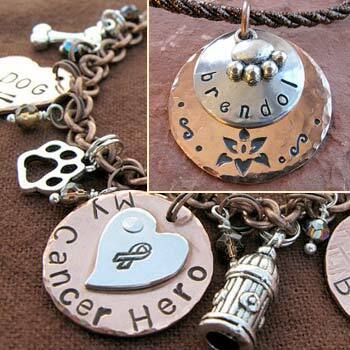 Give whatever you can, get complete details here. 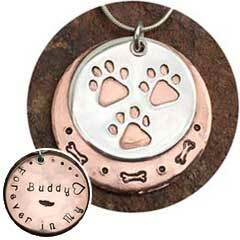 Bandanas are available in a variety of colors for dogs and cats of any size. 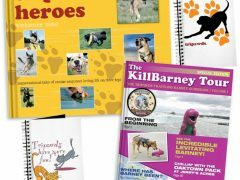 Read all reviews in the Tripawds Gifts Blog!